Geriatric age group; Increased sensitivity to anesthetic drugs, respiratory, general anesthesia due to cardiac complicatioans and cognitive dysfunction in the postoperative period is restricted. Combined spinal epidural anesthesia compared to general anesthesia and cardiac and respiratory stabilization, the extension of the duration of anesthesia, rapid mobilization, postoperative pain control, the advantages of early discharge and a reduction in costs. High doses of spinal or epidural anesthesia alone hypotension, bradycardia, segment reduces the disadvantages of such involvement. Hartmann procedure is a method used in complex patients, especially in emergency left column pathologies. Due to sigmoid perforation emergency operations we planned 80-years-old, geriatric, severe chronic obstructive pulmonary disease (COPD) is located ASA-IV in male patients with combined spinal epidural technique for colostomy surgery, Hartmann procedure we aim to present our anesthetic experience. 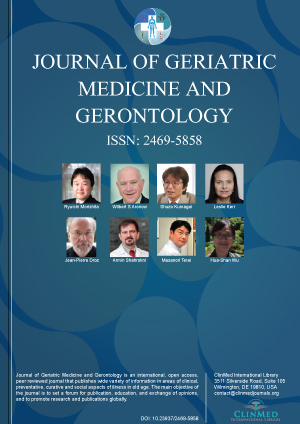 Geriatric age group; Increased sensitivity to anesthetic drugs, respiratory, general anesthesia due to cardiac complications and cognitive dysfunction in the postoperative period is restricted. Combined spinal epidural anesthesia compared to general anesthesia and cardiac and respiratory stabilization, the extension of the duration of anesthesia, rapid mobilization, postoperative pain control, the advantages of early discharge and a reduction in costs. High doses of spinal or epidural anesthesia alone hypotension, bradycardia, segment reduces the disadvantages of such involvement. Due to sigmoid perforation emergency operations we planned 80-years-old, geriatric, severe chronic obstructive pulmonary disease (COPD) is located ASA-IV in male patients with combined spinal epidural technique for colostomy surgery, Hartmann procedure we aim to present our anesthetic experience . In geriatric age group, general anesthesia application is restricted due to increased sensitivity to anesthetic drugs and systemic problems. Chronic obstructive pulmonary disease (COPD) is one of the major causes of mortality and morbidity worldwide . If the operation to be performed in patients with COPD is elective, a good preoperative evaluation and medical treatment is required. However, the choice of anesthesia is more important since there is not enough time for the necessary pre-treatments in patients who need emergency surgery. Hartmann procedure is considered to be an ideal surgical treatment in patients who are not suitable for primary anastomosis in emergency left colon surgery . In this article, we presented our experience of combined anesthesia with spinal epidural technique in the American Society of Anesthesiologists (ASA) physical status IV-E, COPD and colorectal surgery in a geriatric patient. An 80-year-old, 163-cm-tall, 66-kg, physical-condition classified ASA-IV-E male patient underwent colostomy with a hartmann procedure. The patient has a history of smoking for 60 years. The general condition of the patient was moderate, conscious and cooperative. The patient was a known case of COPD with a moderate obstructive pattern on pulmonary function testing. After considering the options, and discussing them with the patient, internal physician and surgeon, written informed consent was taken to administer CSEA. The patient was relocated to the operation theater, and an intravenous (IV) cannula was secured on the left forearm. Routine monitoring, namely electrocardiogram, noninvasive blood pressure and pulse oximetry (SpO2) was started, and baseline parameters were recorded. Noninvasive blood pressure, heart rate and oxygen saturation (SpO2) were 148/92 mmHg, 84 beats/min and 90, respectively. Radial arterial cannulation was done for invasive blood pressure monitoring and blood gas evaluation was performed. The arterial blood gas was Ph; 7.32, PO2; 76, PCO2; 51 and SpO2; 89. The patient was given an i.v. 500 ml saline fluid loading and CSEA was performed with the patient in the sitting position; block was performed at the L3-L4 interspace using a midline approach. The epidural space was identified using the loss of resistance method with the epidural 20 G Tuohy needle. After entering the epidural space, a 27-gauge pencil point Whitacre spinal needle was advanced through the Tuohy needle. After a free and clear flow of cerebrospinal fluid was achieved, 12.5 mL bupivacaine (Marcaine® spinal heavy) and 25 µg fentanyl was injected and then the spinal needle was removed. The epidural catheter was then threaded into place and fixed at 4 cm within the epidural space. Immediately, the patient was made to lie down in the supine position. Oxygen at 2 L/min was given using nasal prongs. When surgery was started, there were no signs of respiratory distress. There were no episodes of bradycardia, arrhythmia, nausea/vomiting. Patient's sensory block was adjusted at T4 level in during surgery. 15 mL isobaric bupivacaine 0.5% and 100 ml lidocaine mixture was injected 5cc intermittently from the epidural catheter. The operation lasted for 225 minutes. The patient was hemodynamically stable during the operation. No need for atropine or ephedrine. At the end of the operation, the sensory block level was T6. No complication was observed in the patient. In total, 3000 cc crystalloid and 500 cc colloid mai were given to the patient. Adequate muscle relaxation and surgical satisfaction were achieved. The patient was taken to the intensive care unit. Approximately 3 hours after surgery, 3 ml 0.5% bupivacaine was administered from the epidural catheter for pain treatment. After 24 hours, the epidural catheter was removed. Sixteen days of intensive care and five days of service follow-up was performed. After 2 months, colostomy closure operation was recommended and he was discharged with healing. The elderly person is defined as the person who is 65 years or older. In developed countries, 14% of the population is 65-years-old and over, and it is estimated that the geriatric age group will increase to 20% in 2030 . The importance of this is to increase the prevalence of disease in geriatric patients and to require more health care. 78% of geriatric patients have at least one and 63% have at least two chronic diseases . Older people undergoing any operative procedure have a higher incidence of morbidity and mortality, resulting from interaction of various factors like decline in physiological reserves, associated comorbidities and cognitive dysfunction. Aging results in a decrease in physiological reserves, most importantly in cardiac, respiratory, neurologic, and renal function. Alteration in the pharmacokinetics and pharmacodynamics mandates adjustment of dosage or avoidance of particular drugs . In the pulmonary system, an increase in central airway size, a decrease in small airway diameter, a decrease in elastic tissue, an increase in chest wall stiffness, an increase in anteroposterior diameter in chest wall height are seen. Functionally reduced respiratory center sensitivity, inadequate cough and swallowing, increased lung compliance, decreased chest wall compliance, decreased alveolar surface area function, increased residual volume and closure capacities, deterioration in ventilation perfusion rate . COPD is a common comorbidity in patients with chronic shortness of breath, cough and sputum, which usually occurs in middle and older ages . Studies have shown that COPD increases the need for postoperative prolonged mechanical ventilator support in patients undergoing major surgery, and has been reported to be an independent risk factor for mortality associated with ventilator-associated pneumonia development [8,9]. The choice of anesthesia management for COPD patients is important when considering postoperative risks. General anesthesia in COPD patients causes deterioration in respiratory mechanics, depression in mucociliary activity, postoperative intensive care and mechanical ventilator support. In patients with COPD, avoiding depressing anesthetics to prevent mucociliary transport, preventing deterioration of respiratory mechanics with adequate postoperative analgesia and providing early ambulation are the main targets . The response of such patients to surgical stress may be unpredictable. The ideal approach in elderly is to be least invasive. Regional anesthesia does not require instrumentation of the airway and allows patients to maintain their own airway and level of pulmonary function, and these patients have lower risk of hypoxemia . Although CSEA is a technique that can be preferred for the protection of intraoperative and postoperative respiratory mechanics in this patient group, colorectal surgery is not much preferred. CSEA provides advantages such as cardiac and respiratory stabilization, prolongation of anesthesia time, rapid mobilization, postoperative pain control, early discharge and reduction in costs according to general anesthesia. It also reduces the disadvantages of high dose spinal or epidural anesthesia such as hypotension, bradycardia and segmentary involvement. Morton, et al. at 82 years of age, ASA-III presented their experience in CSEA in a patient with sigmoid colectomy with impaired pulmonary function and cardiac problems. In this case, CSEA was performed using L2 ml3 intervertebral space, 3 ml hyperbaric bupivacaine + 50 μg fentanyl for spinal anesthesia and 15 ml lidocaine + 15 ml 0.25% bupivacaine mixture from the epidural catheter within the next three hours. They reported that they were followed-up in the intensive care unit for two days postoperatively. Boztaş, et al. a 79-year-old male who had undergone colorectal surgery for sigmoid cancer, presented their experience in the application of CSEA in a male patient with ASA II and stated that they planned to use the CSEA method routinely in geriatric patients. Although they did not have additional diseases, they reported that they preferred CSEA because of early postoperative recovery, effective analgesia, early initiation of enteral nutrition, mortality and morbidity advantages. Shintani, et al. reported a case of a 69-year-old male patient with COPD of 150 cm and 57 kg who underwent epidural and spinal anesthesia at different levels for ileoctomy operation. They stated that epidural catheter was inserted from T12-L1 intervertebral space and applied spinal anesthesia with 0.5% isobaric bupivacaine from L3-4 intervertebral space to 4 ml. They did not observe complications during the operation. Imbelloni, et al. reported a 71-year-old, 60-kg and 162-cm application for right colon tumor resection, and their application of CSEA to a case with ASA III risk group with diabetes, hypertension and COPD. In our case, we preferred to apply CSEA instead of general anesthesia because of the negative effects of general anesthesia on respiratory functions due to the presence of old and prophylactic COPD and postoperative mechanical ventilator therapy. Our aim was to maintain the T4 sensory block level with additional doses administered from the epidural catheter, while reducing the possible risks to the intraoperative and postoperative respiratory system. As a result; In patients with severe lung disease, the risk of complications after general anesthesia is high. We believe that CSEA can be used as a good alternative to general anesthesia in colorectal surgery in geriatric, emergency and risk patients. Stoelting RK, Miller RD (2010) Temel Anestezi. Yaşlı hastalar. Güneş Tıp Kitabevleri 5: 518-529. Sutherland ER, Cherniack RM (2004) Management of choronic obstructive pulmonary disease. N Engl J Med 350: 2689-2697. Meyer F, Marusch F, Koch A, Meyer L, Führer S, et al. (2004) Emergency operation in carcinomas of the left colon: value of Hartmann's procedure. Tech Coloproctol 8: 226-229. Midlöv P, Eriksson T, Kragh A (2009) Aging and drugs. Drug-related problems in the elderly. New York: Springer Science + Business Media, 1-8. Mehta N, Gupta S, Sharma A, Reidwan Dar M (2015) Thoracic combined spinal epidural anesthesia for laparoscopic cholecystectomy in a geriatric patient with ischemic heart disease and renal insufficiency. Local Reg Anesth 8: 101-104. Stoelting RK, Miller RD, Çeviri Editörleri Akkaya öT, Ateş Y, Batislam Y (2010) Temel Anestezi, Güneş Tıp Kitabevi Ankara 34: 519-522. Edrich T, Sadovnikoff N (2010) Anesthesia for patients with severe chronic obstructive pulmonary disease. Curr Opin Anaesthesiol 23: 18-24. Makris D, Desrousseaux B, Zakynthinos E (2011) Theimpact of COPD on ICU mortality in patients with ventilator-associated pneumonia. Respir Med 105: 1022-1029. Penuelas O, Frutos-Vivar F, Ferna'ndez C, Anzueto A, Epstein SK, et al. (2011) Characteristics and outcomes of ventilated patients according to time to liberation from mechanical ventilation. Am J Respir Crit Care Med 184: 430-437. Pursnani KG, Bazza Y, Calleja M, Mughal MM (1998) Laparoscopic cholecystectomy under epidural anesthesia in patients with choronic respiratory disease. Surg Endosc 12: 1082-1084. Moller JT, Wittrup M, Johansen SH (1990) Hypoxemia in the postanesthesia care unit: an observer study. Anesthesiology 73: 890-895. Morton G, Bowler I (2001) Combined spinal-epidural as an alternative method of anaesthesia for a sigmoid colectomy. Anaesthesia 56: 815-816. Boztaş N, Birlik OS, Akan M, Onay V, özbilgin M (2011) Kolorektal Cerrahi Uygulanan Geriyatrik bir Olguda Kombine Spinal Epidural Anestezi. DEü Tıp Fakültesi Dergisi 25: 113-117. Shintani N, Ishiyama T, Shibuya K, Ichikawa M, Okawa I, et al. (2009) Combined spinal epidural anaesthesia for Abdominal surgery in a patient with chronic obstructive pulmonary disease. Masui 58: 1310-1312. Imbelloni LE, Fornasari M, Fialho JC (2009) Combined spinal epidural anesthesia during colon surgery in a high-risk patient: case report.Rev. Bras. Anestesiol 59: 741-745. Dr. öznur Uludağ, Assistant Professor, Department of Anesthesiology and Reanimation, Adiyaman University Medical School, 02100 Adiyaman, Turkey, Tel: +90416-2231690, Fax: +90416-2231693. © 2019 Tutak A, et al. This is an open-access article distributed under the terms of the Creative Commons Attribution License, which permits unrestricted use, distribution, and reproduction in any medium, provided the original author and source are credited.